The Preparatory Year of full time schooling (Prep) provides a smooth transition to school life. 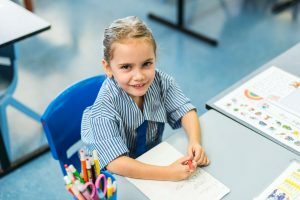 Prep follows a quality teaching and learning program with the curriculum based on active learning, inquiry, investigation and play. Prep is an important year when children develop relationships and build strong foundations in learning, particularly English and Maths. Students are provided with learning experiences that develop an awareness of the five senses, social, fine and gross motor skills. Students in Prep at St John’s enjoy access to a fully fenced early years learning environment which incorporates outdoor undercover learning areas, covered sand pit, purpose built bathroom facilities and gross motor playground equipment.